Are you running an online business? Have you ever given it a thought that what is the first thing that catches the attention of online visitors? 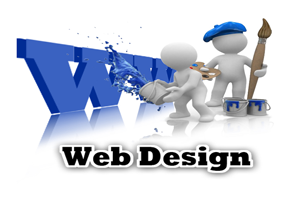 Yes, it is the design of your website that creates the first and the last impression on the visitors. All that you have is 8 seconds to draw and hold the fancy of customers. The SEO Service India strives to come up with website designs that stand out your website apart from others. Nine seconds is the attention span of gold fish. Contrary to it is attention span of an online visitor that is just seven seconds. In a nutshell, all that you have is merely 7 seconds to attract visitors to your website. When it comes to the online world, first impression is the last. Taking the same into consideration, we offer completely tailor-made packages of website designing to businesses of all sorts. We create attractive website designs that are backed by relevant content. This will not only enhance customer experience but also boost your sales. The more online visitors you have, the higher the chances of conversion rate. No matter whether you are looking for graphic design or logo design, we will render solutions that are apt for your business. Our core competency lies in creating websites that not only look attractive but are also fast to load and easy to navigate. We are one of the leading website design companies and we understand your needs before coming up with solutions. We study your target and other competitor sites so that you can get an edge over others. We offer a range of website design packages from which you can choose the one that best befit your budget as well as preference. It is important for you to understand that it is the unique website designs that set your business apart from others. Partner with us and get attractive and user-friendly websites at relatively pocket-friendly rates.